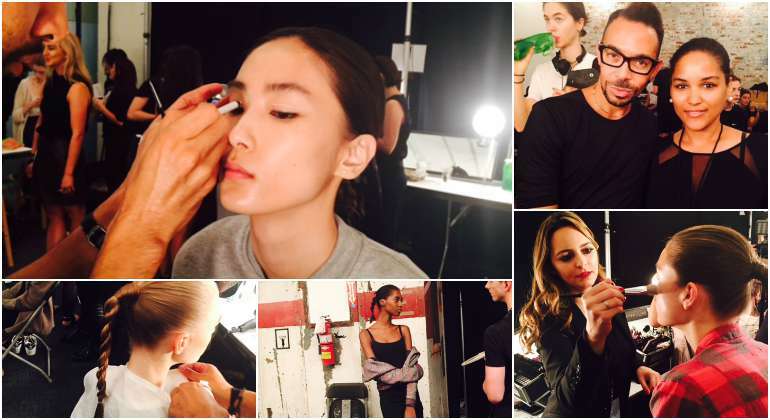 NYFW SS16: These are the trends that rocked backstage! 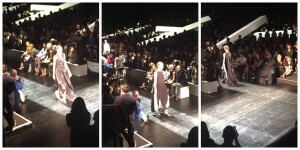 New York Fashion Week is the event of the year for fashionistas around the globe. 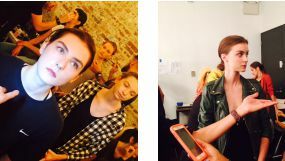 We get to see upfront and personal the new hair, makeup, fashions and color trends the industry has chosen to lead the upcoming season. 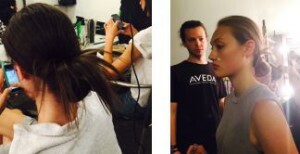 In order to share in this experience, and to bring you guys a first look on what’s trending for the Spring/Summer 2016 season, #Aveda teamed up with #LatinaCOOLMag and gave us backstage access to the Osklen and Public School shows. Sleek, sophisticated, elaborate, yet simple to the eye, on the go, care free, and pulled back hair is what we saw backstage. Easy, natural, soft, strong and bold eyebrows, light blush, cheekbone definition and highlighting- a look for the busy, independent, “on the go” woman of today. For Osklen, Romero Jennings, the lead makeup artist for the day, created a red tinted lip using a Mac Cosmetics lip pallet, and StrobeCream to moisturize and illuminate the face, while accentuating the Red, Gold, Silver, look inspired by: “a girl’s journey visiting an indigenous tribe in Brazil.” This is a natural and fresh look, with emphasis on the lips and fresh face. We loved the SS16 PS collection. It’s for the relaxed, cool, edgy girl that’s busy with work, school and loves to explore the city on feeling comfortable and fashionable. ¿Qué te parecen estas cejas "pluma"?